Born: 16 March 1888, Somerset Strand, Western Cape, South Africa. Died: 13 November 1967, Pretoria, South Africa. Petrus Johann du Toit, veterinarian and zoologist, was the son of Daniel Francois du Toit, one of the founders of the Genootskap van Regte Afrikaners, and his wife Margaretha Magdalena van Nierop, and a brother of the physical chemist Professor Daniel Francois du Toit*. He studied at Victoria College (forerunner of the University of Stellenbosch) and was awarded the degree Bachelor of Arts (BA) with honours in zoology by the University of the Cape of Good Hope in 1907. Subsequently he obtained a D Phil in zoology at the University of Zurich (1912) and a Dr. Med. Vet. at the University of Berlin (1916). In 1918 he was appointed as senior research veterinarian at the Onderstepoort Veterinary Research Institute of which he became deputy director in 1920 and director in 1927, a position he held until his retirement in 1948. At the same time he served as secretary for agriculture for several years from 1921. He was also professor of infectious diseases at the Onderstepoort Faculty of Veterinary Science from 1920 to 1948, dean of the Faculty from 1927 to 1948 and chairman of the senate of the University of South Africa from 1924 to 1926. In 1948 he was appointed as deputy president and from October 1950 to October 1951 as president of the Council for Scientific and Industrial Research (CSIR). He was also president of the South African Veterinary Association from 1924 to 1930, president of the South African Biological Society in 1927 and president of the South African Association for the Advancement of Science in 1932. In 1929 he was a member of the executive committee of the National Zoological Garden in Pretoria and from 1947 served as a member of the National Nutrition Council for several years. Du Toit conducted research with Arnold Theiler* on the aetiology of botulism (lamsiekte) in cattle and was co-worker in many important scientific advances during the 1920's, 1930's, and 1940's, such as the development of polyvalent horsesickness and bluetongue vaccines, the discovery of Culicoides spp. as vectors of these diseases, the development of vaccines against anthrax and botulism and the development of a method of immunisation against heartwater. He was author or co-author of 132 publications, including a textbook which was the standard reference book on tropical animal diseases for many years: P. Knuth and P.J. du Toit, Tropen-Krankheiten der Haustiere (Leipzig, 1921). Throughout his career he played an important role in the promotion of international and especially inter-African collaboration, for example as chairman of a Pan-African Veterinary Conference in 1929 and as president of the International Council for Africa (CSA) from 1950 to 1960. His contributions were recognized internationally by inter alia honorary memberships of scientific societies in France, the United Kingdom and Belgium, and six honorary doctorates, including honorary DSc degrees from the Universitiy of Cape Town (1943) and the University of the Witwatersrand (1949). He was married to Dorothy Jakeman and was survived by a son and two daughters. De Kock, G. & Robinson, E.G. Dr P.J. du Toit: An Appreciation. Onderstepoort Journal of Veterinary Science and Animal Industry, 1948, Vol. 23, pp. 9-13. Jansen, B.C. In Memoriam. Dr Petrus Johann du Toit. Suid-Afrikaanse Akademie vir Wetenskap en Kuns, Jaarboek, 1968, pp. 83-84. Kingwell, D.G. & Schonland, B.J.F. 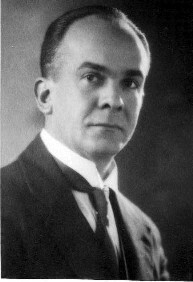 Petrus Johann du Toit, 1888-1951. Bibliographical Memoirs of Fellows of the Royal Society, 1969, Vol. 15, pp. 246-266. National Archives, Pretoria. Source MHG. Reference No. 980/68, death notice and abridged death certificate. National Automated Archival Information Retrieval System (NAAIRS). http://www.national.archives.gov.za/naairs.htm Documents relating to Petrus Johann du Toit / P.J. du Toit. Neitz, W.O. M.T. Steyn-prys vir natuurwetenskaplike prestasie, 1966, toegeken aan P.J. du Toit. Suid-Afrikaanse Akademie vir Wetenskap en Kuns Jaarboek, 1966, pp. 42-43. South African Journal of Science, 1934, Vol. 31, pp. xxvi-xxix: Twenty-fourth award of the South Africa medal and grant [to Dr P.J. du Toit]. Thom, H.B. et al. Stellenbosch 1866-1966: Honderd jaar hoer onderwys. Kaapstad: Nationale Boekhandel, 1966.